The last ten years have seen an enormous surge of interest in issues that are common to psychology and economics. How do people make decisions about economic issues? How should they make such decisions? Does public policy or regulation succeed in its aim of helping people make these decisions? What situations aid cooperation? 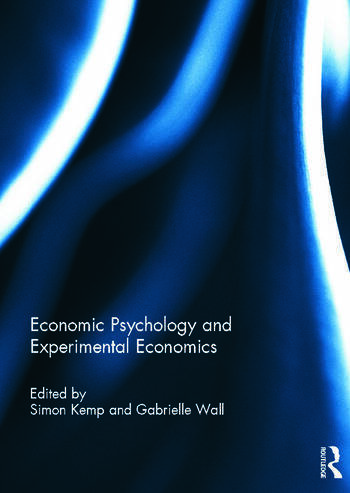 This volume explores some of the ways in which economists and psychologists have tried to answer these questions. The authors are an international mix of economists and psychologists, and as such they demonstrate a diverse range of approaches to tackling different aspects of these issues. This is a frontier area for both psychology and economics, and consequently it is relatively free, lawless and, above all, exciting. This collection reflects the diversity and energy that characterise this rapidly growing interdisciplinary field. This book was originally published as a special issue of New Zealand Economic Papers. Simon Kemp is Professor of Psychology at the University of Canterbury in Christchurch, New Zealand. Gabrielle Wall lectures in psychology and business, and runs a governance training and development business, in Christchurch, New Zealand.